Want to Be a Family Nurse Practitioner? Earn Your MSN. We Can Help. Learn to Treat Everyone with Your MSN-FNP. ACEN Accredited. Start a Path to Advanced Nursing Care. Earn your MSN-FNP. The Master of Science in Nursing is the second-highest degree a nursing student can obtain. An MSN follows a Bachelor of Science in Nursing and comes before a terminal nursing degree, like a Doctor of Nursing Practice or a Doctor of Philosophy in Nursing. Family nurse practitioner is a concentration within an MSN degree program. In the United States alone, there are more than 222,000 nurse practitioners. While only one in 10 registered nurses currently holds a master’s degree,  nearly every nurse practitioner has one. Why? Most employers seeking to fill entry-level nurse practitioner positions expect at least an MSN,  making it one of the most popular degrees for health care professionals who want more from their nursing careers. The Master of Science in Family Nurse Practitioner (MSN–FNP) degree is a specialization that registered nurses can seek for their master’s-level education. How do I earn an MSN–FNP? Before enrolling in an MSN–FNP program, students must first obtain a registered nurse license from their states’ respective Board of Nursing, as well as earn an undergraduate Bachelor of Science in Nursing (BSN) degree and high undergraduate GPA and/or Graduate Record Examination (GRE) scores. Without counting the four years or more a student may need to qualify for a master’s degree candidacy, completing an MSN–FNP program usually takes between two to four years, depending on program requirements, curriculum design, and a student’s full- or part-time status. How does this prepare me for further academic study? An MSN–FNP is a prerequisite that can be used toward a Ph.D. or a Doctor of Nursing Practice (DNP). MSN–FNP graduates must obtain advanced licensure prior to postgraduate program enrollment. Master’s-level nursing curricula vary greatly from program to program and specialty to specialty, and MSN coursework typically consists of active learning and discussion rather than lectures. An MSN–FNP degree program is an example of one specific type of advanced nursing degree. It is comparable to other such degree specializations, such as pediatrics, oncology, neurology, psychiatry, anesthesiology, midwifery, and more. 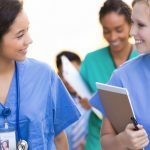 With more than 330 master’s nursing programs in the country accredited by the Accreditation Commission for Education in Nursing (ACEN)  as well as others accredited by various national, regional, and independent nursing organizations, degree candidates have a lot of freedom to design their studies around their chosen career path. Is an MSN–FNP right for me? With more than 3 million registered nurses in the U.S.,  an MSN–FNP earns the recipient an opportunity to stand out in RN hiring pools, pursue a career as a family nurse practitioner, or seek additional advanced degrees — such as a DNP — or certifications to round out their experience for high-level managerial positions in medicine. Once graduate students achieve their Master of Science in Nursing – Family Nurse Practitioner degree, they must apply for national and/or state certification before practicing medicine. Each state’s certification board has its own list of acceptable accredited certification programs, each with their own criteria for examination. For example, the National Board for Certification of School Nurses requires a minimum of 1,000 hours of clinical practices accrued over a three-year span, the equivalent of one full school year, before a certification candidate can sit for the exam. Furthermore, advanced licensure is also required to apply for fieldwork and/or postgraduate nursing programs. Although an MSN–FNP is not a terminal nursing degree, meaning there is further academic study available, any registered nurse who hopes to find work as a family nurse practitioner, physician’s assistant, or surgical assistant will need this degree to prove his or her qualifications to health care employers. For additional information on terminal nursing degrees, please see Doctor of Nursing Practice (DNP). Family nurse practitioners are in demand and will continue to be for the foreseeable future. In 2015, two-thirds of all master’s degree nursing students transitioned into the workforce immediately upon graduation. Nine in 10 found jobs in the six months following their graduation. Through 2024, employment for nurse practitioners and related fields is projected to experience a boom, growing by more than 30%. Again, a minimum of an MSN is required for almost all related occupations. How do I choose an MSN–FNP program? Accreditation is important because it demonstrates that the program meets certain educational standards and shows potential employers that a student’s education is valid and comparable to their peers. MSN–FNP programs are typically accredited by one or both of these two major organizations: the Commission on Collegiate Nursing Education (CCNE) or the Accreditation Commission for Education in Nursing (ACEN). However, degree candidates may encounter other reputable accrediting bodies if they wish to pursue certain concentrations. 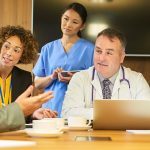 The Commission on Accreditation of Healthcare Management Education (CAHME), for example, accredits MSN programs specializing in health care administration and policy. Experience is everything when researching the right MSN–FNP program. Discover who teaches courses at your top school choices, where they studied, what degrees and certifications they hold, and what accomplishments they’ve achieved that might sway your decision. Some online students maintain odd hours, and guidance from professors and other faculty may be limited at those times. If you have a busy personal schedule or simply prefer to study from home, consider MSN–FNP programs that offer comprehensive online delivery methods. Although the number of hours required to finish graduate-level nursing studies varies from program to program, the AACN requires accredited programs to seek a minimum of 500 “supervised, direct patient care clinical hours” from every nurse practitioner candidate for each specialty, including the MSN–FNP track,  on top of time spent for additional studies. Candidates enrolled in multiple concentrations may overlap hours at the discretion of the program and/or distributing faculty members. As a family nurse practitioner, you stand to earn more money than you would as a registered nurse. Consider that value when examining tuition costs of top MSN–FNP programs, as well as loans or financial aid options that may help mitigate educative fees. Are you looking for the best school in the country or the best in your neighborhood? Is a high rank more important to you than cost, access to online services, or distinguished faculty? Narrow your search accordingly when compiling a list of prospective programs. Use our comparison tool to help determine which MSN-FNP program is best for you. Graduation rates and job placement scores can tell you a lot about MSN–FNP programs. Friends, family, and professional connections, however, can also be great sources of inspiration. If you know anyone who acquired his or her MSN–FNP, reach out and ask for a candid opinion. Graduates may tell you more than any website can. A master’s degree candidate for nursing is almost always one of two individuals: either an ADN or BSN recipient looking for something more than a career as a registered nurse or a Ph.D. or DNP hopeful moving one step closer to becoming a doctor. Some master’s candidates, however, will leverage an MSN to access their preferred careers. Specifically focusing on the area of family nurse practitioner, these degrees prepare students for all the clinical expectations they will encounter in the field. FNPs must help patients manage chronic and acute health issues, perform lab tests, draw conclusions based on their findings, and diagnose. Because many states across the country grant NPs — and by extension FNPs — the privilege to treat patients autonomously, they must essentially have a comparable practical knowledge base to that of a physician. When choosing an online program, there are a number of factors worth considering. All online master’s degrees in nursing fall into one of two camps. Asynchronous programs allow students to select when to read and complete assignments according to their personal schedule, while synchronous programs mandate students attend lectures and discussions at prearranged times. Which one conforms best to your lifestyle? “Cohort” means the program is structured like traditional schooling. You and your peers enter the program at the same time and graduate at the same time. The non-cohort model implies a possible fluidity between classes during the graduate tenure based on each student’s pace, specialization, etc. An MSN–FNP would not be complete without clinical field placement, a crucial component to this degree. Master’s nursing programs typically require 500+ hours of hands-on training administered by a preceptor who works in the same field the student plans to study and enter. Under professional tutelage, MSN–FNP students will receive the opportunity to apply their textbook knowledge to the real world. Graduate students must work with their schools to locate a preceptor, secure an apprenticeship, and arrange reliable transportation to and from the experiential learning site throughout their studies. From now until the mid-2020s, nurse practitioner, midwife, and anesthetist employment should see tremendous growth. Currently, the U.S. Bureau of Labor Statistics predicts a 31% surge, an increase of more than 53,000 jobs. Nurse practitioners, including FNPs, will fill nearly 84% of those open positions. For comparison, overall job growth during that same period is projected to grow by 7%. What are a few factors that will drive this incredible demand for nurse practitioners? Population expansion in the U.S. Between 2017 and 2025, the U.S. Census Bureau expects the number of U.S. residents to balloon by more than 20 million. These people, whether they are newborn babies or naturalized citizens, will all require health care from trained professionals. FNPs have the broad education necessary to treat all demographics. Health care continues to be a hotly debated topic in the United States. As a major issue in government, and with federal programs available to help those in need find care, more and more nurses and medical professionals may be required to satisfy the population’s health care needs. States continue to give advanced practice registered nurses the freedom to perform additional services like prescribe medicine to patients without consulting with a superior physician. These allowances strengthen the value of FNP degree programs and their graduates to health care facilities. While the typical NP work environment may be difficult to pin down — the BLS compiles information on nurse practitioners with similar careers like nurse anesthetists and nurse midwives — a large majority of NPs likely find jobs in physician offices and hospitals. Family nurse practitioners fill many of those positions. Other environments FNPs work in include home care, hospice care, and in the military. FNPs with master’s degrees have the advanced training and knowledge to serve these communities. In addition, communities may ask for FNPs and other medical professionals to be qualified as generalists, meaning they are licensed to treat a wide array of conditions due to the community’s needs and shortage of physicians. Since MSNs are considered the benchmark of today’s entry-level nurse practitioner positions, an FNP degree candidate should receive all the information and training necessary to perform the duties of a modern, autonomous health care provider. Moreover, when considering the right MSN–FNP program, you should remain aware of two major challenges facing students as they obtain their degrees: insufficient faculty and limited clinical preceptors. This represents perhaps the most remarkable downside in the meteoric rise of this academic/career path. Be sure the program you select guarantees room for you over the years you will potentially study there. Additionally, students may have success applying to schools that let them choose their own preceptor, provided the student has one in mind. Lead change to improve quality outcomes. Advance a culture of excellence through lifelong learning. Build and lead collaborative interprofessional care teams. Navigate and integrate care services across the health care system. Design and innovate nursing practices. The role of the family nurse practitioner is highly clinical. Degree candidates expect, and are expected, to practice medicine. If you are looking for a non-clinical nursing career in fields like medical writing or patient advocacy, research MSNs other than the FNP track. As the name implies, core curriculum includes courses students must complete and pass in order to graduate. Electives are chosen at the discretion of students, guided by the subjects they are interested in. However, all programs have credit requirements. Students must take enough core and elective courses to fulfill those demands. Electives give students the opportunity to craft their graduate studies around their individual futures. Once you obtain your MSN–FNP, where do you plan to work? Although many FNPs attend to families in a traditional health clinic or hospital setting — under or independent of a physician — the electives you choose during your graduate studies may help you target more specialized work environments. Does an MSN–FNP program require a thesis or capstone? Many master’s programs, regardless of field of study, culminate in a final project. Generally speaking, a thesis or a capstone consists of solo or collaborative work, like a long-form written dissertation, a multimedia presentation, and/or an examination. Whether a particular MSN–FNP program mandates these concluding projects is entirely at the discretion of the school. Some may offer their students the ability to complete additional coursework and studies in lieu of a final paper or presentation. This may be preferable to graduate nursing students with full-time jobs or families as theses and capstones tend to be time-intensive. Do MSN–FNP programs require an on-campus residency? Not always. However, many schools offering online or hybrid MSN–FNP programs will also expect enrollees to attend introductory orientations or make periodic in-person appearances. These on-campus residencies are usually concentrated to accommodate the busy schedules of adult learners with families and careers. Nevertheless, you should always know if or when the programs on your shortlist require you to come to campus, especially if you plan on attending courses exclusively online. This includes the financial planning involved in travel, as well as research into whether things like food and lodging are covered under standard tuition costs. Moreover, students should also find out how many different campuses a single school has, their proximity to those satellite campuses, and whether the school will allow them to fulfill on-campus residency requirements at the closest one. For the online-only learner, on-campus residencies may seem like an inconvenience. But prospective family nurse practitioners should not shy away from socialization or hands-on collaborative experiences with peers. These sessions can lay the groundwork for a personally and professionally fulfilling network of colleagues that may last a lifetime. Apart from academic studies, MSN–FNP students will complete several hundred hours of experiential learning. Programs will connect graduate nursing students with preceptors who supervise them on site and offer guidance over the course of their studies. Under the preceptors’ watch, graduate students will perform the everyday duties of a family nurse practitioner and experience firsthand what it is like to work as one. In researching MSN–FNP programs, you should ensure that potential schools perform rigorous vetting of preceptors and experiential learning sites. In-clinic training is unquestionably important to all health care providers. FNP students must have an effective outlet to use what they were taught if they are expected to become tomorrow’s go-to medical professionals. Master’s-level nursing students demonstrate a desire to accomplish more than a baccalaureate degree in nursing could offer, a knowledge of career opportunities relevant to their personal goals, and possibly an interest in pursuing a Doctor in Nursing Practice. ONPs work with patients suffering from musculoskeletal disorders. Also known as mental health nurse practitioners, PNPs specialize in caring for patients with mental illnesses. ACNPs handle many patients in short terms, usually assisting doctors before and after surgery. Please note that an MSN–FNP degree and its associated licensure does not necessarily qualify a student to work in alternate disciplines of medicine. Every nursing job has different requirements. Before selecting a graduate school program in nursing, be sure it fulfills the prerequisites and experiences employers in your desired field expect. All reputable Master of Science in Nursing programs are overseen and regulated by accrediting bodies. These organizations enforce a measurable standard by which all nursing schools must adhere. What is taught, how it is taught, and what constitutes degree completion all fall under an accreditation board’s jurisdiction. Nurses are the second-largest body of licensed professionals in the United States. Why? Licensure ensures each nurse’s commitment to education, self-improvement, and discipline and protects millions of patients every day by setting a standard these health care providers must rise above. Before beginning their master’s nursing studies, nursing students will have completed their baccalaureate degrees and passed the National Council Licensure Examination (NCLEX), the licensing examination for registered nurses created by the National Council of State Boards of Nursing. The NCLEX uses computer adaptive testing to administer questions of varying difficulty based on a test-taker’s in-test performance. An algorithm grades answers along the way and ends the test once it has decided with high confidence that the test-taker is above or below the passing benchmark. MSN–FNP degree programs are essential, as they are the only way for FNPs to sit for these examinations and obtain credentials. Furthermore, state licensure may be required in addition to the previously mentioned credentials. FNPs must seek permission to practice from state authorities if so compelled. The rise of online distance education opened doors for students to attend programs otherwise closed off to them because of their location. However, since degree authorizations exist both at the federal and state level, a conflict may occur when deciding which state is responsible for interstate education compliance. Is it the state where the student resides or the state where the school’s campus is located? Resolving this confusion is of the utmost importance to both students and educators. If distance students attended schools that did not permit out-of-state participants, they could forfeit their degrees or lose the progress they made in their programs — however, this is not a common occurrence. Enter the National Council for State Authorization Reciprocity Agreements, otherwise known as NC-SARA. States with SARA membership statuses assent to the adoption of nationally recognizable interstate quality standards shared by all other SARA members. As of 2017, all but three states have SARA membership. California, Massachusetts, and Florida are not part of SARA. For a complete list of NC-SARA institutions, please visit the organization’s website. 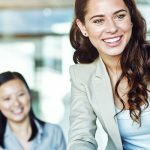 One study conducted on behalf of the American Nurse Practitioner Foundation in 2013 revealed that about nine out of 10 nurse practitioners are female, and more than half are in their 40s and 50s. However, the number of male nurses has grown steadily since the 1970s. Additionally, as more nursing schools in the U.S. offer accelerated BSN-to-DNP programs, younger nursing candidates can earn degrees sooner and start work immediately. Student scholarship programs: Accrediting organizations for nursing also aggregate and direct interested students toward scholarships for eligible master’s degree candidates. The American Association of Colleges of Nursing, for example, lists several on its website, including the Geraldine “Polly” Bednash Scholarship and CastleBranch-GNSA Scholarship. However, in instances like these, students must attend a school recognized by the accrediting body in order to become eligible for these opportunities. Do I need a nursing license to be an MSN-FNP candidate? What does an MSN-FNP degree allow you to do? Becoming a licensed nurse practitioner (NP) can allow you to conduct examinations, diagnose illnesses, and prescribe medication to individuals from pediatrics to geriatrics, depending on the state in which you are licensed. You may also conduct routine check-ups, be able to assist in minor surgical procedures, focus on disease prevention and order patient lab tests. Are there any prerequisites for an MSN-FNP degree? In order to enroll in an MSN-FNP degree program, you will need to have earned an undergraduate degree. Universities will want to verify the program you graduated from was an accredited nursing program. While most programs offer a Bachelor of Science in Nursing (BSN) entry point, there are some programs that offer an Associate Degree in Nursing (ADN)/Diploma entry point. If you graduated with a non-nursing baccalaureate you may need to complete additional prerequisite courses. Regardless of your undergraduate degree, in order to enroll in an MSN-FNP, program you will need to provide proof of a current nursing license. Other university requirements will vary. For example, some may require completion of an undergraduate statistics course. Be sure to check with your guidance counselor if you meet all prerequisites for enrolling in a specific program. Can I complete MSN-FNP online? Yes. Many institutions offer MSN-FNP degrees online. The American Nurses Credentialing Center (ANCC) and American Association of Nurse Practitioners (AANP) require specific course curriculum for accreditation. The course work should abide by the accrediting body guidelines. You should take a variety of coursework in the following areas: family nursing theory and intervention, acute and chronic illness management, research, primary health care concerns and leadership preparation. Look at degree curriculum to ensure you will be prepared to apply for licensure. If the program is CCNE- or ACEN-accredited, then the curriculum should meet the requirements for licensure. What’s the difference between a general MSN-FNP and one with concentrations? With a concentration (such as neonatal, acute care, women’s health, etc. ), you can develop proficiency in that specific concentration, and you may only be able to work with patients in that field. For example, if you specialize as a Neonatal Nurse Practitioner, then you will not be able to work in geriatrics, and if you decided to change fields, then additional education will be required. Pursuing the Family Nurse Practitioner (FNP) degree, you will have the opportunity to train in various specialty fields (such as women’s health, neonatal, acute care, gerontology). The FNP allows you to work in various areas or select specialties, allowing you to be versatile in your work setting and roles. Why choose a graduate degree as a nurse practitioner versus a certified midwife or certified nurse anesthesiologist? The NP is trained to assess, diagnose, and treat patients in a specialized health care setting across the lifespan. An anesthesiologist is trained to administer anesthesia before a surgery and monitor the patient during surgery and recovery. A certified midwife works primarily with women from puberty through menopause. These roles are very different. Your choice depends upon your career goals and passion. Clinical experience has the potential to create strong job recommendations and even lead to careers after graduation. Be sure to make the most of your clinical experience by being proactive in inquiring about procedures you would like to practice and asking questions that you can’t easily find the answers to on your own. Learn as much as you can during your clinical experience so you can be prepared once you have a job. Making a good impression with your preceptors also can create a network you may be able to lean on when searching for a job upon graduation. Do all MSN-FNP degrees require clinical hours? Inquire with NP groups in your state who may offer guidance or support in securing a preceptor. Be creative when considering sites. Inquire with a guidance counselor about preceptor requirements before beginning to look for preceptors. This will vary by university. In general, you will need to have the clinical site approved by the university. In addition, some universities use various softwares that preceptors, professors and students can access. Others will require campus visits or have scheduled visits from advisors to review the sites. Inquire with a guidance counselor to determine the process followed by each university. Do all states require a Master of Science to be licensed as a family nurse practitioner? Yes, the minimum education level to become a nurse practitioner is a master’s degree. What accreditations are required to obtain licensure? What are the steps required to achieve NP licensure? What are the types of careers available with an MSN-FNP? How many clinical hours are typically required in MSN-FNP programs? How many courses are required each semester? This will vary by university. Inquire with a guidance counselor to determine if the course load will be a good fit with your work-life balance. How important is accreditation within the nursing field? If the program is not accredited, there is the possibility it will not be recognized when you apply for licensure. What accrediting agencies are there for MSN-FNP programs? Will choosing an online MSN-FNP that is not accredited prohibit me from furthering my nursing career or obtaining licenses? Yes. If the program you graduate from is not accredited, then there is the possibility it will not be recognized when you apply for licensure. What are the repercussions to my career, credentials, and licensure if my MSN-FNP program loses its accreditation after I graduate? If you graduate from an accredited program, your degree will remain accredited — because the curriculum at the time of your graduation was accredited.